After facing pushback from healthcare providers and lawmakers, Anthem tweaked its controversial emergency room program that doesn't pay for patient ER visits if conditions are later determined not to have been emergencies. Indianapolis-based Anthem said it has made several exceptions to the ER program so it will always pay for some types of ER visits. Those exceptions include when a patient is directed by a healthcare provider to go to the ER; the patient is under 15 years old; the patient is traveling out of state; or the patient received any kind of surgery, IV fluids or IV medications, or an MRI or CT scan. 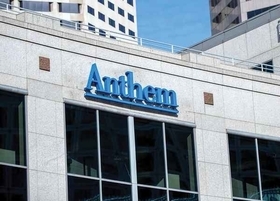 Anthem said the changes went into effect Jan. 1. It will apply the exceptions to any previously denied claims, and will overturn decisions if the new guidelines would have resulted in an approval. Anthem also said it will request medical records from the hospital when reviewing a claim. But providers argue the changes are not enough to mitigate the harm that Anthem's policy is causing patients. Under Anthem's avoidable ER program, the insurer doesn't cover emergency department visits for conditions that it decides were not emergencies after a review. Anthem began rolling out the program in several states last year, but the program has been present in some parts of Kentucky since late 2015. Providers say Anthem makes its determination based on a list of 1,900 diagnostic codes and not medical records. Anthem said the policy, which has been implemented in Georgia, Indiana, Kentucky, Missouri, New Hampshire and Ohio for commercially insured patients, is meant to encourage patients to seek care in appropriate settings, but providers worry the policy will cause patients to avoid the ER even when necessary for fear of receiving a big medical bill. They say basing payment off of final diagnostic codes fails to consider the circumstances surrounding a patient's decision to go to the ER. Sen. Claire McCaskill (D-Mo. ), who in December wrote to Anthem's former CEO questioning whether the policy violated state and federal laws, told Modern Healthcare on Thursday that despite the recently implemented changes, Anthem is still "putting the onus on someone who has no medical training to determine whether or not they should go to the ER." She said she will continue to look into the policy, noting that UnitedHealthcare also appears to be considering a similar ER program. "We've got to stop this in its tracks," she said.